MINNEAPOLIS/ST. 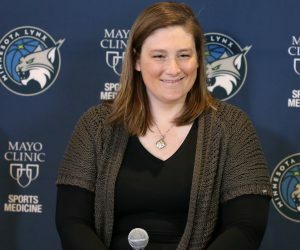 PAUL –The Minnesota Lynx will kick off their “Week of Giving” as part of the holiday season featuring Lynx players and staff giving back to the Twin Cities community starting Monday, December 10th. 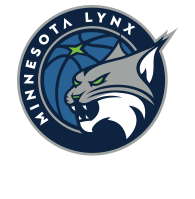 Additional social activations will be announced daily, and fans are encouraged to follow along on the Lynx social media accounts for more information. Lynx staff and guard Danielle Robinson will be joined by volunteers at Second Harvest Heartland in St. Paul as part of the Points for Pounds program sponsored by Land O’Lakes, Inc. For every point that the Lynx scored this season, Land O’Lakes donated ten pounds of food to Second Harvest Heartland. In addition to the 26,840 pounds already guaranteed to be donated through the Points for Pounds program, Land O’Lakes is donating an additional 13,160 pounds of food to give a total of 40,000 pounds that will be donated on Monday. Robinson will be on hand with representatives of Land O’Lakes to help unload the food donation and pack meal kits. Lynx staff members will convene at Freehouse as the WISC (Women In Sports Council) partners with The Family Partnership as they wrap presents that will be given to children enrolled in their pre-school and kindergarten programs. The Family Partnership is a local non-profit that provides counseling, education and advocacy for children and families living in poverty. Ahead of the member event before the Minnesota Gophers Women’s Basketball game against Coppin State, the Lynx will host a Toys for Tots drive at Buffalo Wild Wings in Dinkytown from 5-6:30 p.m. In partnership with the Marines and Toys for Tots, a Marine will be on hand to accept the donations from Lynx members. The Lynx are partnering with MN Adopt to host youth from MN Waiting, who are children in foster care or pre-adoptive placement to show an advanced screening of the new animated film, Spider-Man: Into the Spider-Verse. Robinson will be on hand prior to the film for a meet and greet. On Friday evening from 6:30-7:30, Robinson will serve dinner at Simpson Housing Services in Minneapolis, Simpson Housing Services is a nonprofit, dedicated to housing, supporting and advocating for people experiencing homelessness. 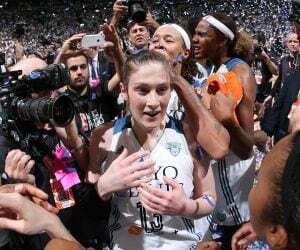 The Minnesota Lynx finished celebrating its 20th season in the WNBA, having hosted the WNBA All-Star Game at Target Center for the first time in franchise history. 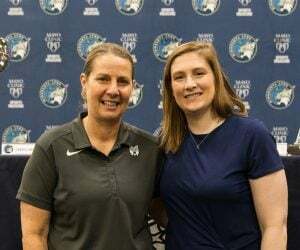 With a WNBA-record-tying four championships, Olympians, MVPs and an All-Star lineup, the Lynx are led by Head Coach and General Manager Cheryl Reeve who has guided Minnesota to a historic 213-93 record over the last nine seasons. 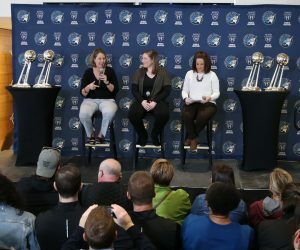 A model franchise both on and off the court, the Lynx have a built a passionate fan base throughout the state of Minnesota and across the country.